Centre for Integrated Health Programme (CIHP), Gombe Regional Office. A success story at the Federal Teaching Hospital, Gombe (FTHG) a 500-bed capacity tertiary institution situated at the heart of the North-eastern Nigeria. 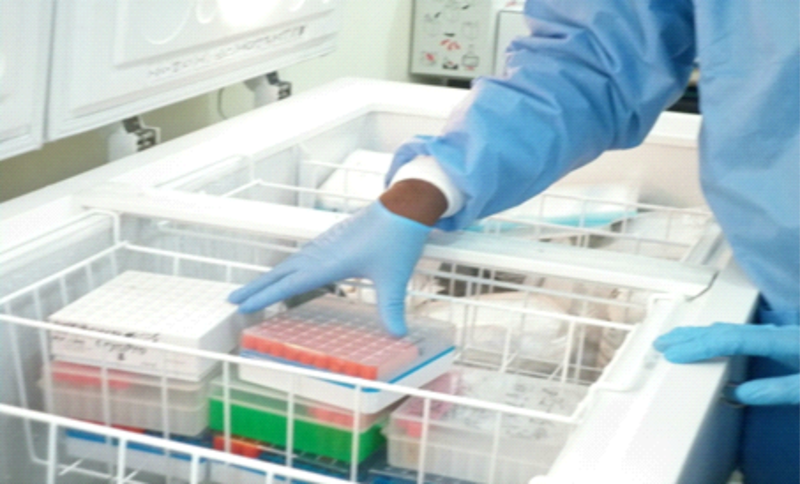 A manually operated PCR facility was first installed by a supporting partner – the Institute of Human Virology-Nigeria (IHVN) in 2009. 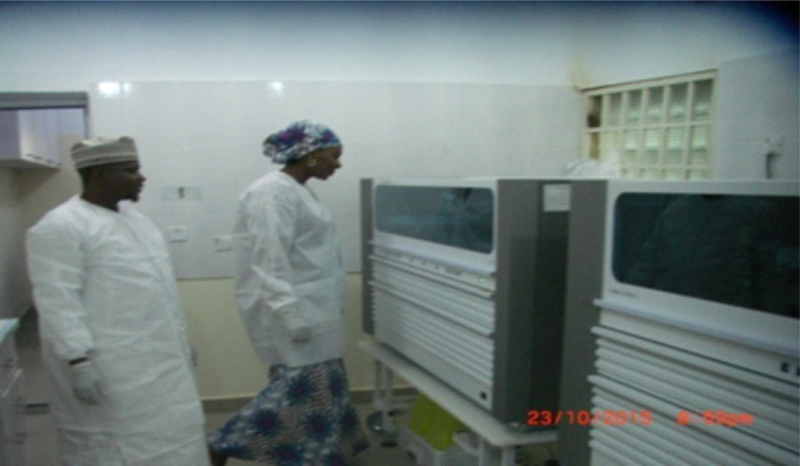 The FTHG in collaboration with Centre for Integrated Health Programme (CIHP) and Centre for Disease Control (CDC) – Nigeria up-graded the facility to an Automated PCR machine (COBAS TAQMANN96) in 2015. It was a good response to partnership that demonstrates programme commitment and sustainability. In that spirit, human and material resources were committed towards the actualization of space and infrastructure with quality finishing/furnishing of the PCR Laboratory. Staff were highly motivated and the dearth in Laboratory infrastructure was greatly addressed. Timely Supply of reagents and consumables was also sustained. The resultant benefit of this partnership was quality improvement to services with increased in patients’ access to HIV and Hepatitis B and C diagnosis and treatment monitoring. Our Centre remains ever grateful to the PEPFAR HIV programme, our supporting partners and the Federal Ministry of Health, Nigeria. Key Words: PCR, PEPFAR HIV and AIDS Programme, Partnership. global HIV/AIDS.2,3 For us at the Federal Teaching Hospital Gombe (FTHG), Nigeria, the up-grading of the PCR Laboratory to automation by the CIHP/CDC (Centre for Disease Control) – Nigeria in partnership with FTHG management was a success story. The Hospital Management, staff and people of Gombe State will ever be grateful to PEPFAR. The News to install an automated PCR Machine (COBAS TAQMANN96) came to us (Laboratory Management) as an institution, and was observed that our supporting partner, CIHP were serious, as ever; they placed the card on the table that; PCR automated equipment could be installed in our facility to boost the Centre’s capacity in HIV and AIDS investigations. What was required then of the FTHG Management to put in place were space (infrastructure) and few other logistics. The laboratory Team saw the possibility because of the close working relationship, support and co-operation being received at all times from the Hospital management. In high Spirit, the Laboratory leadership Team led by the Director Laboratory Services, approached the Hospital management with a proposal to that effect, and sooner than expected, discussion with the management for theconstruction of a brand new PCR Laboratory was concluded and approved. The Chief Medical Director (CMD), Dr. Abubakar Sa’idu assured the leadership of CIHP that construction of the PCR Laboratory, furnishing and any other necessary item(s) needed according to specification to enable the centre have the automated PCR equipment installed will be put in place. He equally made a strong commitment towards the deadline given by CIHP/NCDC- Nigeria for the space to be ready. To his words, within 3 months (April to July, 2015), all were set for PCR equipment installation. 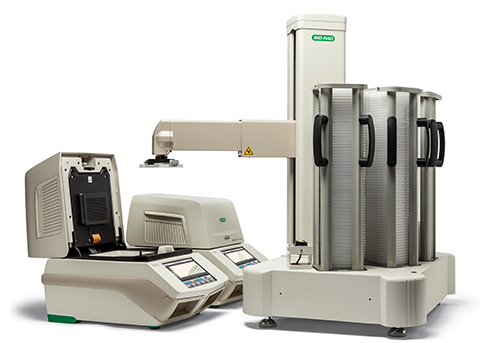 On 1st October, 2015, PCR equipment with all the necessary accessories for Early Infant Diagnosis (EID) and Viral quantification (viral load) reagents arrived the FTHG. PCR Equipment (COBAS TAQMANN96) and all the accompanied accessories were received by the Director Laboratory services in good deadline given by CIHP/NCDC- Nigeria for the space to be ready. To his words, within 3 months (April to July, 2015), all were set for PCR equipment installation. On 1st October, 2015, PCR equipment with all the necessary accessories for Early Infant Diagnosis (EID) and Viral quantification (viral load) reagents arrived the FTHG. PCR Equipment (COBAS TAQMANN96) and all the accompanied accessories were received by the Director Laboratory services in good condition and according to the specifications earlier given. On 13th October, 2015, installation and on-site training of staff were completed by a Team of Roche Engineers with the support of the CIHP Gombe Laboratory Team, led by the Senior Laboratory Supervisor, Mrs. Deborah Bulus. The arrival of -20oC and -80oC deep freezers from the CIHP supporting partners, and the installation of 20Kva inverter by same (CIHP) later, climaxed the infrastructural up-grading of the PCR Laboratory at the FTHG Centre. The now fully equipped PCR Laboratory was commissioned by the Hon. Minister of Health, Prof. Isaac F. Adewole on 11th January 2016. This has greatly addressed the dearth in Laboratory infrastructure, improves the quality of services in the Centre and increased access; staff were also highly motivated to quality issues. and 85 for Hepatitis C virus were analysed. The addition of these tests to the HIV investigations have greatly enhanced quality of patient care and reduced the hardship hitherto been experienced by the patients. The FTHG Management and staff have not only demonstrated good response and sensitivity to partnership, but also understood the principle and importance of programme sustainability. This was clearly seen in the resources being committed, both human and material towards the actualization of space and infrastructure with quality finishing/furnishing of the PCR Laboratory. This is our success story. We remain ever grateful to our programme partners and the Federal Ministry of Health. We look forward to more of supports and such types of collaboration from well-meaning groups and organisations in and outside Nigeria. 1. Gombe State action plan of His Excellency, 29th May, 2011 to 29th May, 2015. An official document of the Gombe State Government.